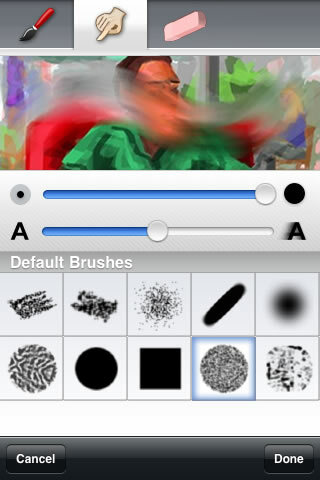 Layers is the most advanced natural media painting application for the iPhone and iPod Touch. Built on the feedback of hundreds of mobile artists, Layers packs in everything you need to be creative on the go. 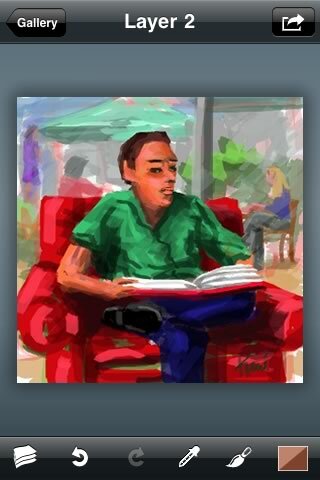 Add up to five layers to your drawing and open up a whole new creative space. You can drop in a picture and use the eraser tool to selectively reveal the layer beneath, or create several transparent layers to draw separate elements of your image! You can duplicate layers, merge down, and more. Export your drawing as an Adobe Photoshop file (PSD) and your layers are preserved. Want even more? Download the Layers Replay Viewer to save higher-res copies of your drawings and create QuickTime replays! 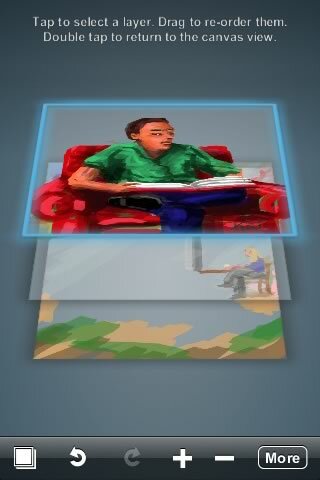 Layers 2.0 introduces a brand new photo import panel that makes it easy to add photos to your drawings! 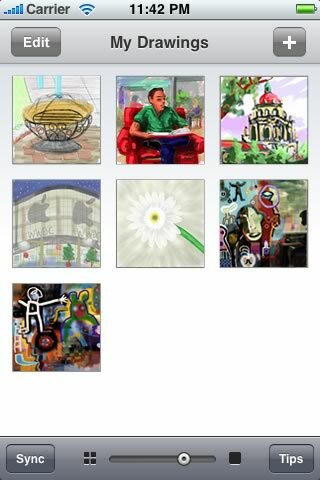 Select a photo from your iPhone's photo gallery and you'll see exactly how it will appear in your drawing. 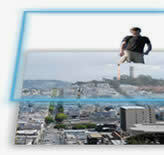 You can pinch and drag the photo to adjust position and size. Get what you want, every time. In addition to a paint brush and eraser, Layers 2.0 introduces a smudge tool with adjustable texture, size, and pressure. Use any of the ten brushes with the smudge tool and let out your unique painting style! Best brushes in the business. Layers comes standard with 10 natural media brushes, and we've built in support for additional brush packs in future releases. Request a brush, and you could see it in the next release of Layers! Layers takes undo seriously. Its generous 30-level undo history is saved when you stop editing your drawing, and you can undo (and redo) every change you make. 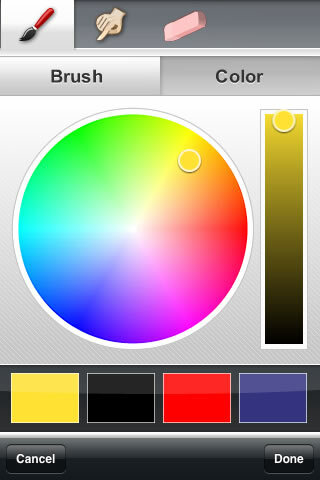 The Layers color picker gives you easy access to a full range of colors. You can paint semi-transparent strokes and the eraser tool can be semi-transparent, too! An intuitive color picker also allows you to grab any color in your existing drawing.